The filming for Fast n Furious 7 has begun and a video with some still shots have been posted on fb page by none other than Vin Diesel. It was revealed a couple of days back that Fast n Furious 7 will screen Deepika Padukone however as per the latest news the actress is currently busy with her other commitments and will not be able to make it to FnF7. The plot for the 7th edition is slated to revolve around Toretto and gang as they take on Owen’s brother Ian Shaw played by Jason Statham as he avenges his brother’s death. 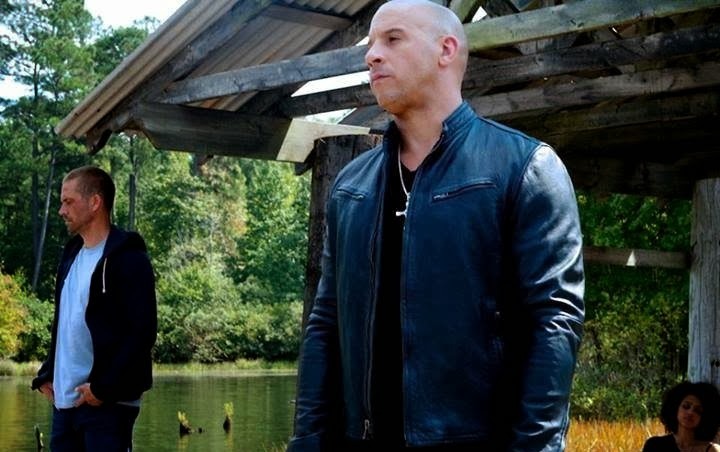 As per the image above, Vin Diesel, who plays the role of Dominic Toretto, is seen wearing a leather jacket. Paul Walker is also present wearing an oversized T shirt while Nathalie Emmanuel is seen in the background but hardly can any one make out if she is dead, tired or drugged.